[Walid Phares] is a one-time member of the notorious Lebanese Forces – the sectarian Christian militia which played a leading role in the 1982 Sabra and Shatila massacre (though there is no evidence that he personally played a part). It is an experience he now wisely leaves out of his resume. Nor does he include his association with Etienne Saqr, the head of the Guardians of the Cedars, an outfit the Congressional Research Service described as “[a]n extremist Maronite militia and terrorist organisation”. Saqr played a prominent role in Phares’ World Lebanese Organisation long after he was exiled to Israeli-occupied south Lebanon for his crimes against the Lebanese and Palestinian people. But it is not this association with the Lebanese Forces and Etienne Saqr that grants Phares his expert’s cache. He is an Arab with bona fide academic credentials who validates proponents of military intervention in the Middle East the same way that Ahmed Chalabi once did. 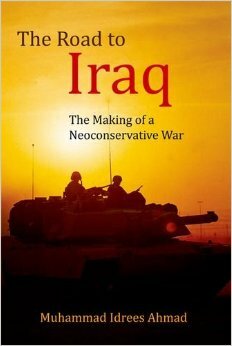 Indeed, both once shared the same publicist, Benador Associates, a neoconservative favourite. Phares can make the aspirations of the Arabs and Iranians sound remarkably consonant with the interests of Tel Aviv. 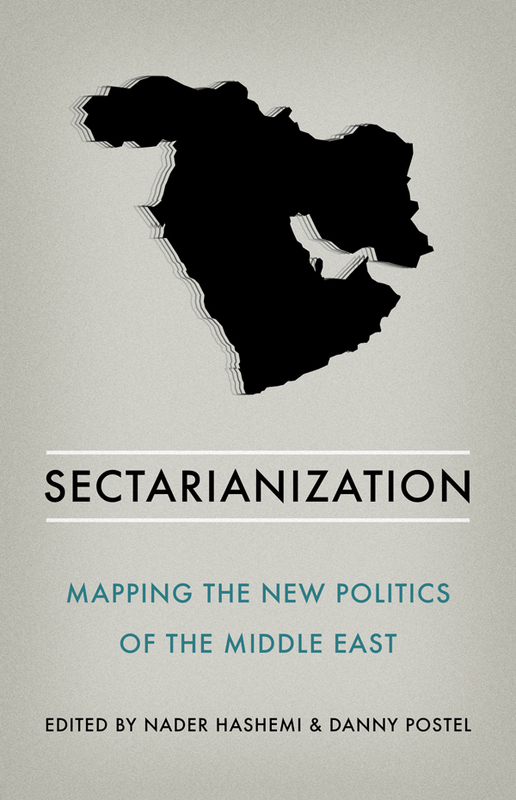 For someone who wrote papers for Israeli think tanks urging continued occupation of Southern Lebanon (“the only place in the world where Christian and Jewish blood is shed together for the defence of two Judeo-Christian nations”) this might not be too big an imaginative leap. But his capacity to divine the real yearnings of the Middle East’s Muslims is perhaps less certain. All the same, in Washington’s current political climate such oversight rarely goes unrewarded. By any measure, Phares’ career has been an unmitigated success: He has found rare exalted space in the Israel lobby’s firmament, which has helped elevate him into various government advisory positions. He is promoted as a featured expert by the David Project, the Israel on Campus Coalition, David Horowitz’s FrontPage Magazine, Robert Spencer’s Jihad Watch, and Daniel Pipes’ Middle East Forum. He is also an associate of Israel’s Ariel Center for Policy Research and a Senior Fellow at the Foundation for Defense of Democracies (FDD). He serves on the board of ACT! For America, a pressure group that Politico described as part of an “effort to transform anti-Islam crusading into a mainstream lobbying effort”. The group was established by Brigitte Gabriel, whom Deborah Solomon of the New York Times Magazine has described as a “radical Islamophobe”. Like Phares, Gabriel emerged from the sectarian milieu of the Lebanese civil war, whose prejudices both now seek to foist on the wider world. Phares also serves on the advisory board of the Clarion Fund, a production company associated with the radical Israeli settler group Aish HaTorah, which even Jeffrey Goldberg of The Atlantic has described as “just about the most fundamentalist movement in Judaism today”. The Clarion Fund came to prominence with the anti-Islam filmObsession, 28 million copies of which were distributed during the 2008 presidential campaign in an attempt to inflame Middle America’s suspicion of the “Muslim Manchurian candidate” Barack Hussein Obama. Phares has appeared in at least two of Clarion’s films, The Third Jihad and Iranium, the latter an unabashed call for regime change in Iran, including the use of military action. In an extended appearance on Fox’s Hannity, Phares joined the film’s producer, Rabbi Raphael Shore of Aish HaTorah, to stress the implacability of the Iranian regime and the menace of radical Islam. Both denounced successive US administrations as appeasers. They also cast aspersions on the Arab Spring, declaring it a replay of the Iranian revolution, a prelude to an Islamist takeover. So eccentric are Phares’ views that, earlier this year, even Republican Chair of the House Committee on Homeland Security, Representative Peter King had to drop him from his controversial “Muslim radicalisation” hearings. This prompted a spirited defence from Robert Spencer, who accused King of “shrinking-violet delicacy“. Spencer serves with Phares on the board of Gabriel’s ACT! and, like Phares, is fighting his own holy war. In The Post-American Presidency, a book co-authored with Pamela Geller (featuring a foreword by John Bolton), he exposes the Obama Administration’s “war on America” which includes inflicting universal healthcare and public education on its people and eroding its commitment to Israel. In a promotional video posted online, Spencer and Geller exhort viewers to stop “the anti-Semite in the White House, and his useful idiots in the Congress”, before they bring about “a second Holocaust”. But the most significant of Phares’ affiliations are with FDD and the Center for Security Policy (CSP), two think-tanks that played a leading role in pushing the war against Iraq. In April 2002, in a seemingly coordinated campaign, the two think-tanks ran ads which lumped Yasir Arafat, Osama bin Laden and Saddam Hussein into a single unified threat menacing the US and Israel. It is the same dissolving of differences that Phares trades in today. Like Ahmed Chalabi, Phares has proved himself indispensable to the neoconservatives whose militarist momentum he fuels with his “native” credentials and apocalyptic fantasies. He seems bent on using US muscle to resolve confessional battles from years past, and on a global scale. But, unlike Chalabi, Phares appears to have gained unmediated access far earlier in the game. In a time of terror plots and great paranoia, it is voices like his that can magnify routine threats into global emergencies. 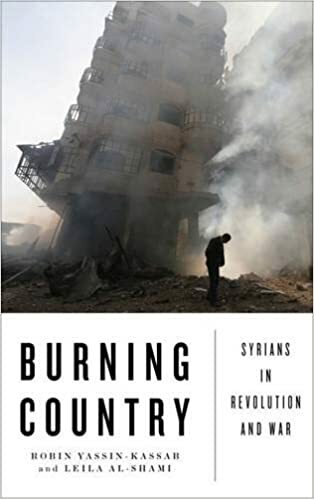 The future as seen by Walid Phares is the Lebanese Civil War writ large, with the whole globe as the battlefield. Americans, however, will have to determine if they are comfortable assuming the role of the Phalange. With all due respect sir but your article is full of factual mistakes and libelous claims. Of course that you weren’t able to prove that Professor was part of anything violent in the incidents you mentioned in Lebanon in 1982 because he became a public figure in the coalition of Lebanese Christian Parties only in 1986. There are four years between the two dates and it is dangerous to allege any link of any nature by an author and scholar who was heading a social democratic group and the violence you are referring to. As far as association with Etienne Sacre, why would Professor Phares be responsible for what Mr Sacre stated, if at all and what Sacre’s party has stated? What is the link? Why not bring about Phares association with former UN General Assembly and International Human Rights Universal Declaration co-author Dr Charles Malek, who sat at the same table as Etienne Sacre. In addition, Mr Sacre was never a member of any NGO headed by Phares, even though he may have attended same conferences. You shouldn’t be misleading your readers just because they aren’t informed about the long, complex and evolving Lebanese conflict between 1975 and 1990. Besides why to associate Phares with people who have their own views on Islamic affairs. Phares writings aren’t about theology or faith but about the geopolitics of the Jihadist movements. These are national security issues well discussed in three of his books. Dr Phares was never a Phalangist though there is another person by the same name in Arabic, spelled Walid Fares, who is the Secretary General of the Phalangist/Kataeb Party. It is ridiculous to quote obscure individuals talking about Phares’ thinking, while he has published books and articles for over 30 years about his own thinking. It is fair to criticize his own writings and statements, but to criticize fake statements he never made is unprofessional, and in some cases dangerous. I suggest you read his literature and produce a critique on substance not repeat what militant groups are circulating about someone whose literature is too vast and achievements too obvious (even if you don’t agree with him) to deface.